Renuzit, Air Freshener 12/7oz. Case. Air Freshener-Eliminate the strongest of odors, leaving behind a pleasant, fresh scent. 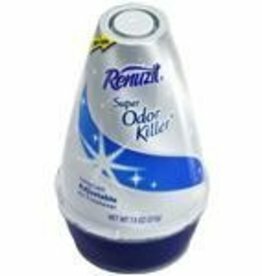 Renuzit Air Freshener-7oz. Can. Eliminate the strongest of odors, leaving behind a pleasant, fresh scent. RENUZIT Renuzit, Air Freshener 7oz.